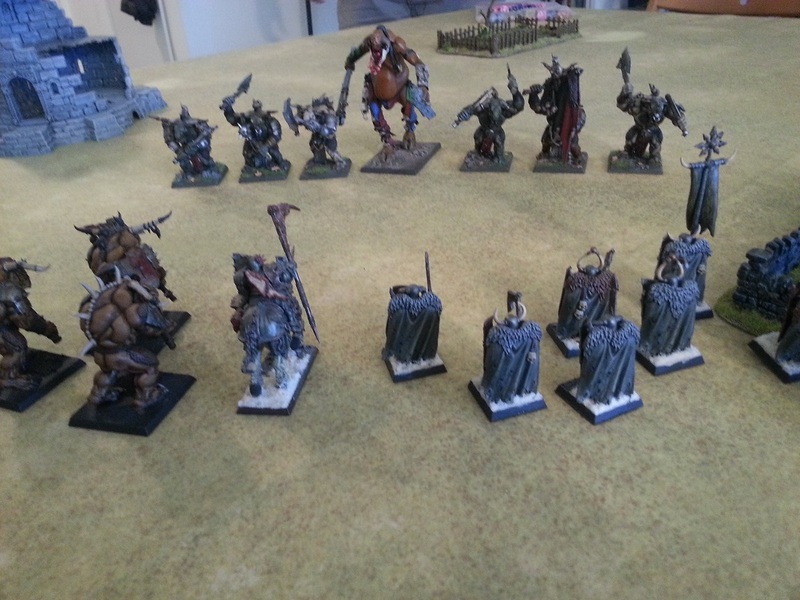 Here's my Speed Freaks list, not as many skorchas as I'd like, but all I had! 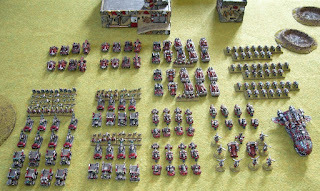 I also tried lots of Mekboy Speedstas. 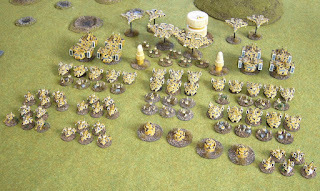 Andrew's Tau brought the Tau Armoured forced along. Orca's were subbed in to represent Scropionfish. Andrew won a Strategy Roll for deployment, and chose corners. 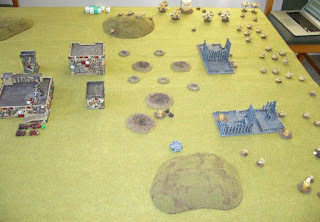 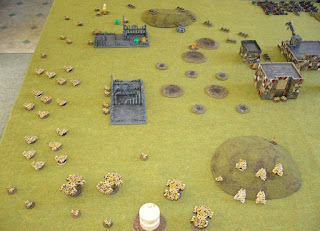 Here's my deployment in bottom left corner, struggling to fit all the Freaks in! 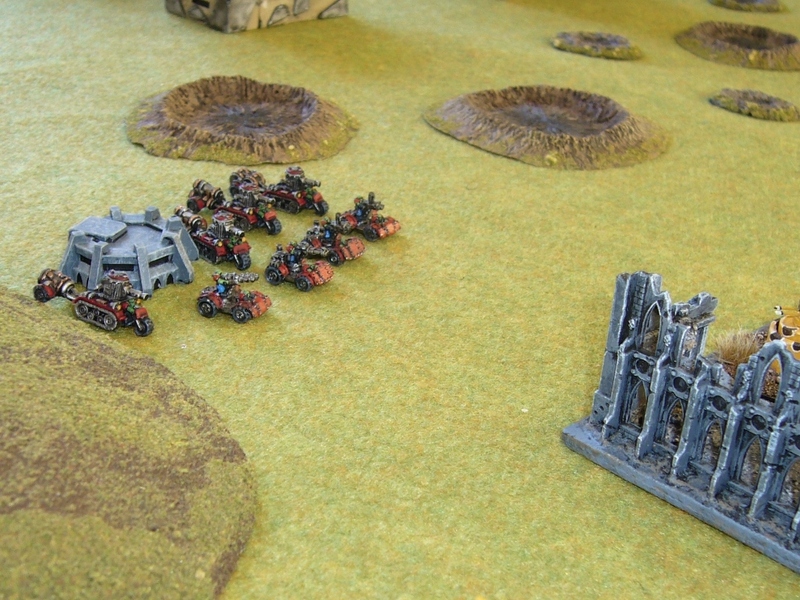 Scout warbikes strung out along centreline. (In centre top is the chess clock). Tau is set up deep in their own corner, with a few scouts forward on the short table edge. 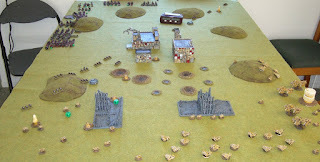 First photo taken after first few activations. 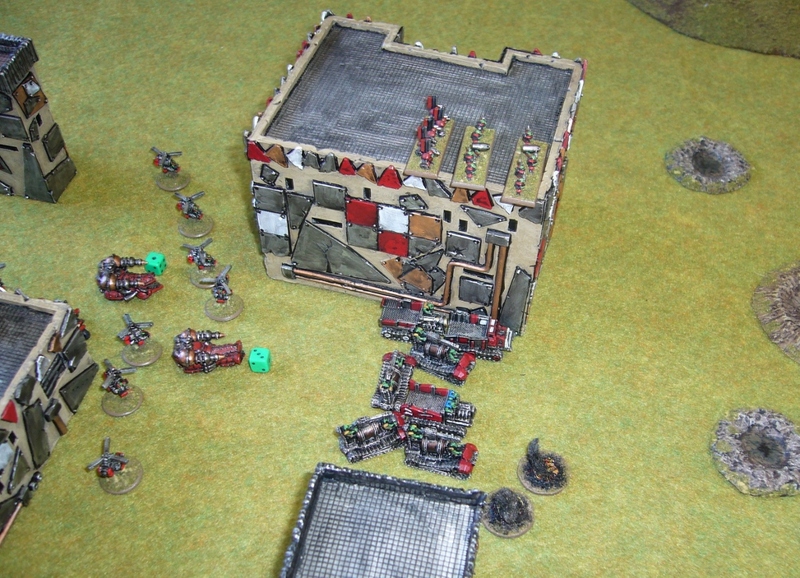 The ork screen has been knocked back by guided missiles, and I'm struggling to do much in return. 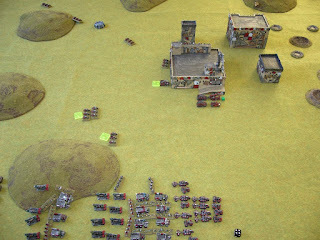 ...and keep being knocked back. 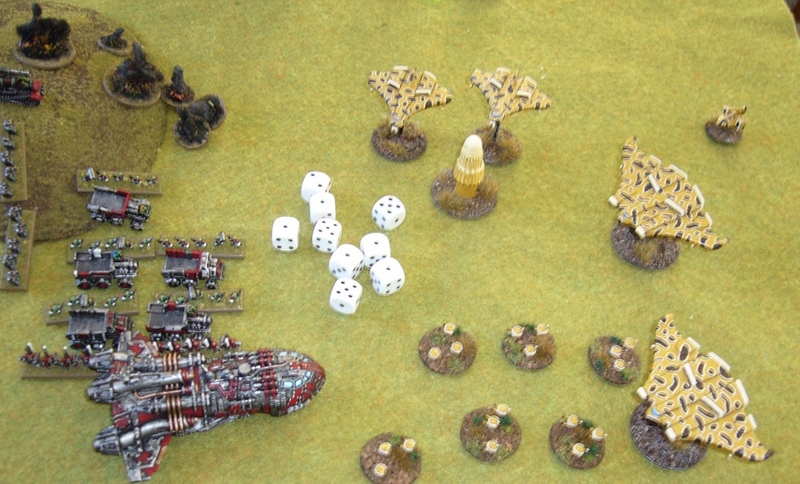 Another Kult of Speed is nuked as drones are dropped off by Tiger Shark bombers. 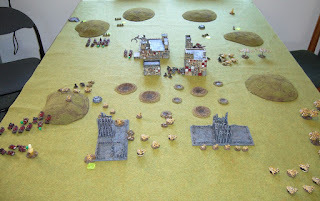 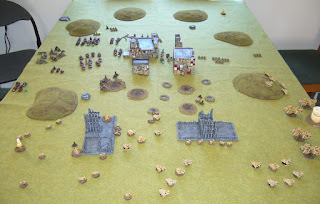 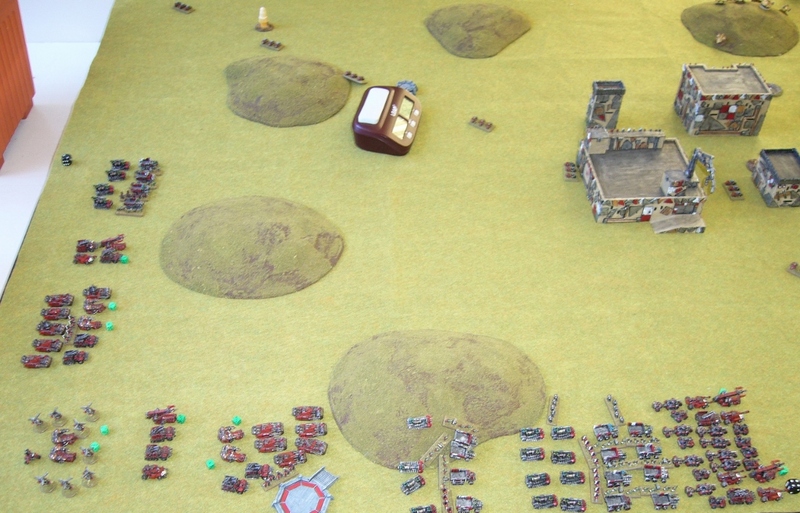 The Big Warband speeds forward and also takes heavy casualties. 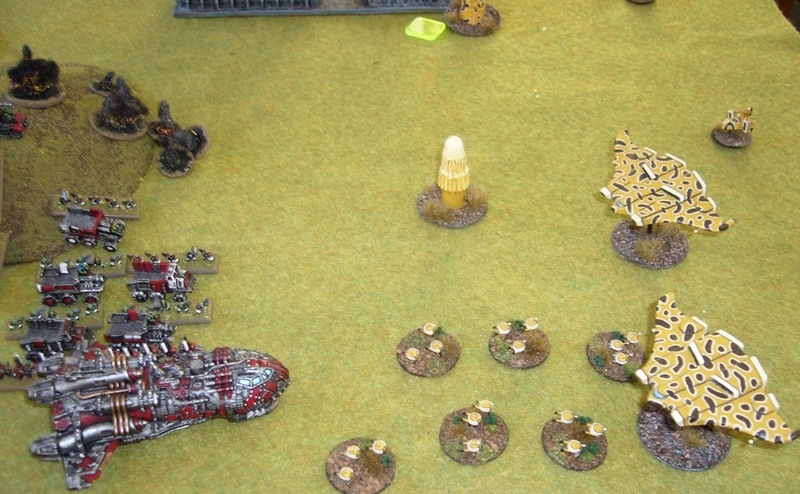 Slightly desperate landing attempt with Landa... into range of a Skyray, Tiger Shark AA and fighters. End of turn and orks have suffered very heavy casualties already. And units in the backfield have been doubling just to try and get in range. 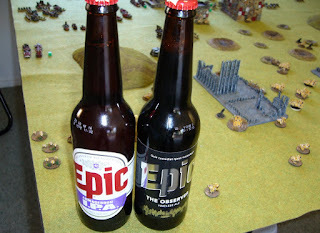 Fortunately Andrew had brought along some nice brew to alleviate the pain. 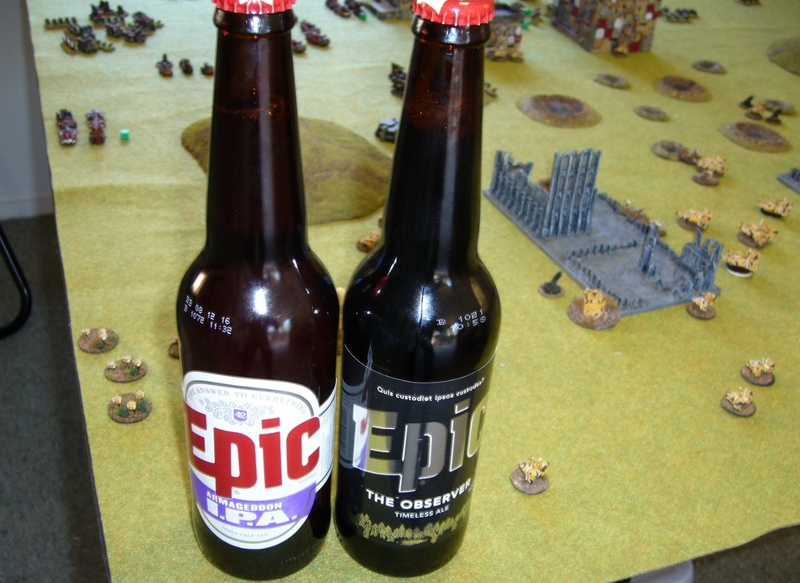 Epic Armageddon beer, and Epic Observer beer which suited the theme of all those annoying markerlighting Tau observer units! 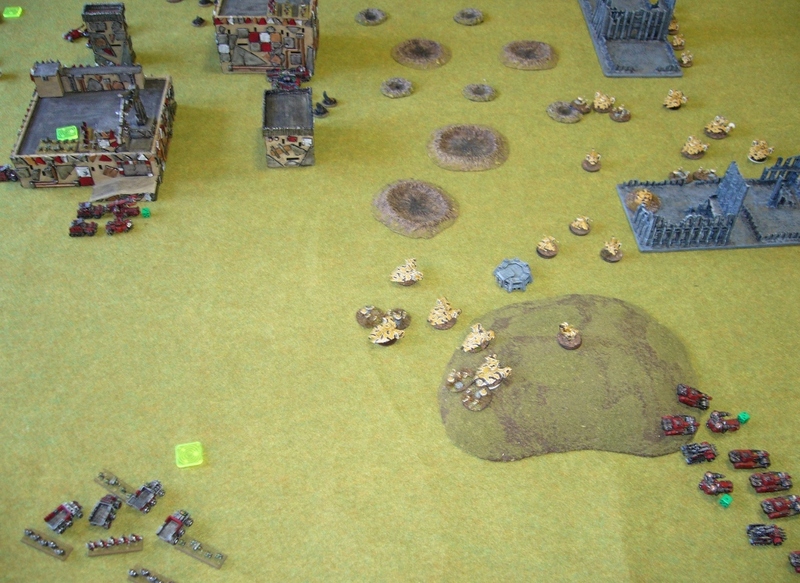 Next turn, and the Orks wipe out a Tau recon unit and take the centre town. 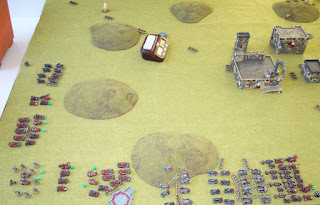 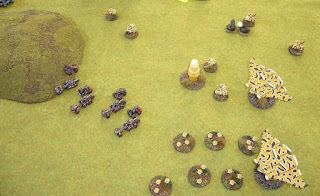 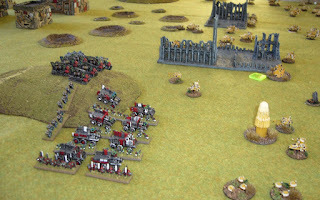 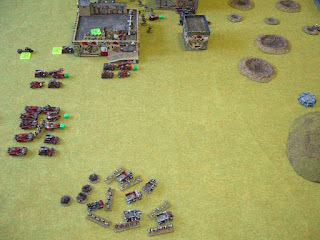 And Orks engage and wipe out the Tau drones in the bottom right of the field. 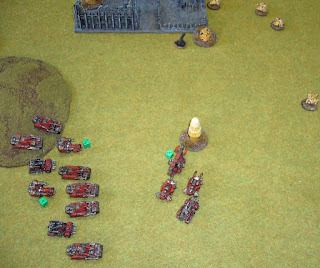 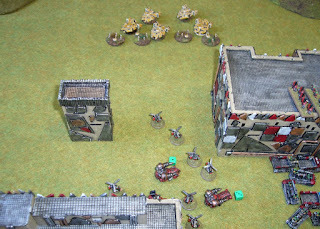 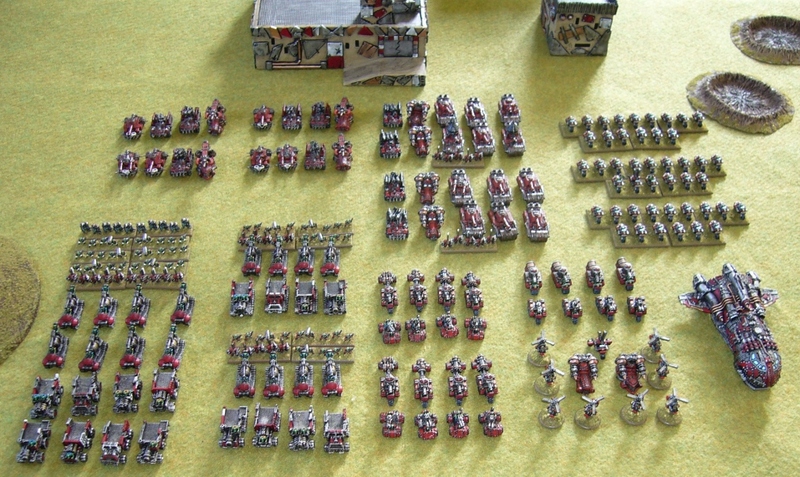 But return fire drives back even more ork units. The Tau take the opportunity to pick on all the Ork light vehicles, using their massed anti-personal fire to good effect. 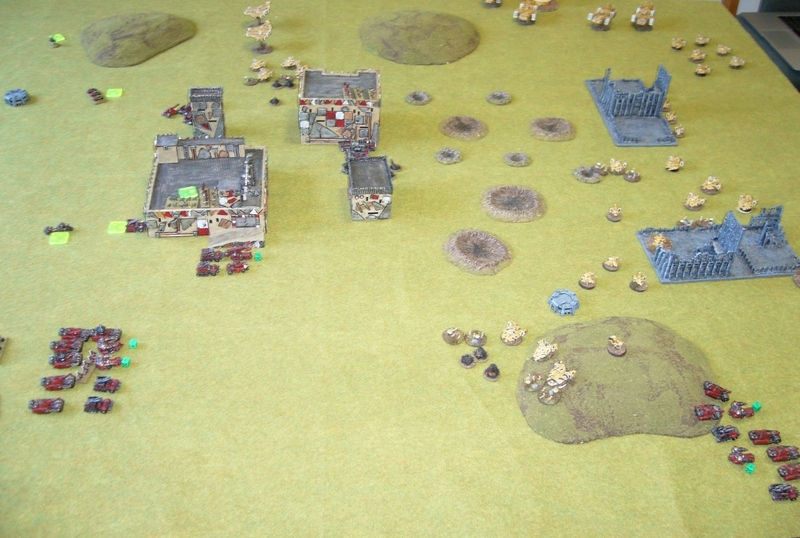 Tau get cocky and advance armoured units into the centre of the ork line and keep knocking over the infantry and light vehicles. Coolio! 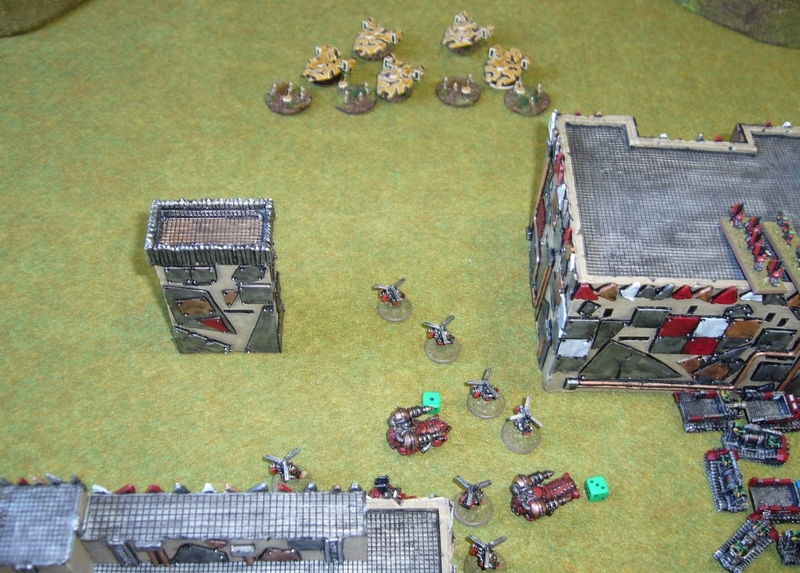 Just like X Wing - never send 'em in piecemeal!